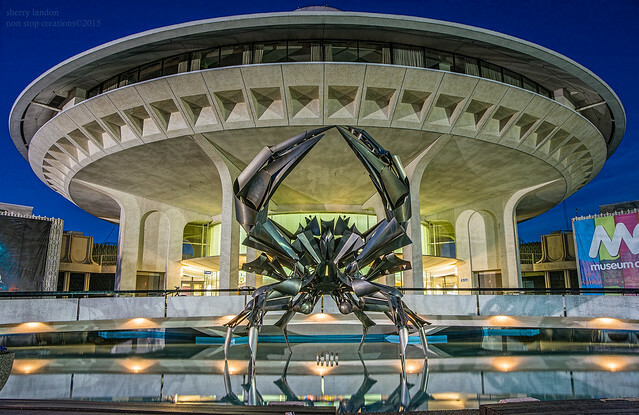 It was 43 years ago today that crab sculpture was installed in front of the Museum of Vancouver and Planetarium in Kitsilano. 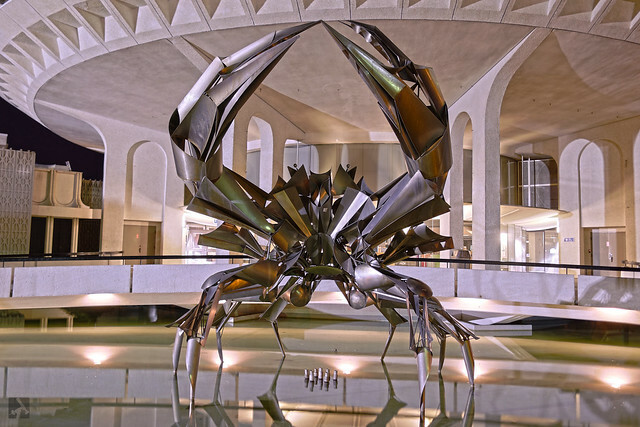 The stainless steel piece by George Norris takes inspiration from a First Nations legend that told of a crab guarding the entrance to the harbour [source]. 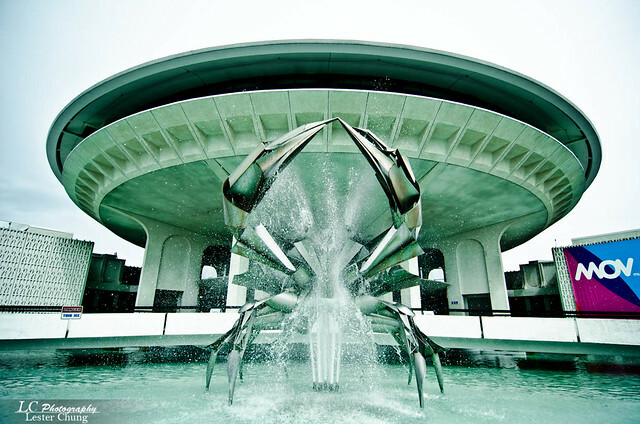 The sculpture was an entry in a contest held by the Vancouver Centennial Committee – the crab was also the zodiac sign at the time of the Canadian Centennial [source]. 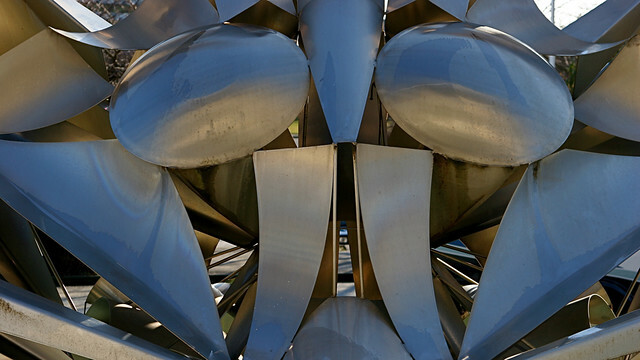 It’s 20 feet high and was welded together from separate parts by Gus Lidberg. 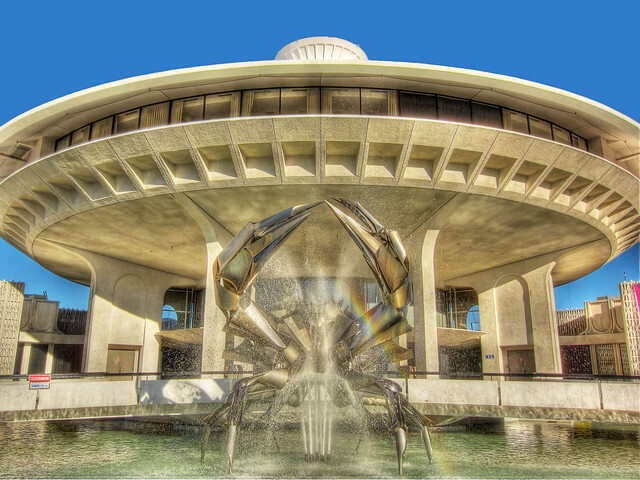 Today, it’s one of the most-photographed sculptures in Vancouver thanks to visitors of the Museum, Space Centre, and Vanier Park. 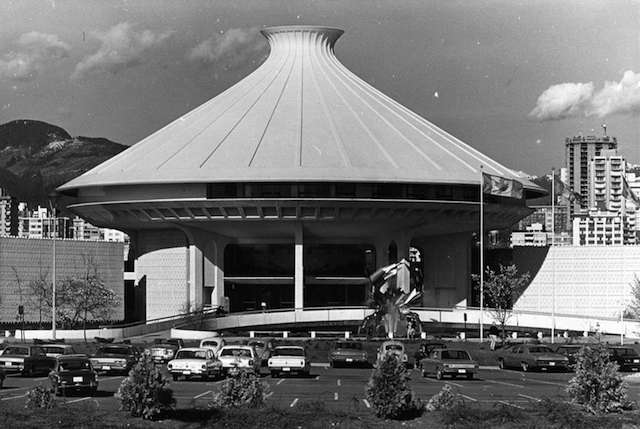 Other Vancouver Icons posts: East Van Cross, Robert Burns Statue in Stanley Park, Vancouver Maritime Museum, Flack Block, The Drop, Prospect Point Lighthouse, Engagement, Ovaltine Cafe, The English Bay Slide, Freezing Water #7, Cleveland Dam, Heritage Hall, School of Theology Building at UBC, Gate to the Northwest Passage, St Paul’s Hospital, Capilano Lake, Stawamus Chief, Nine O’Clock Gun, Malkin Bowl, Search, Vancouver Rowing Club, Echoes, Point Atkinson Lighthouse, English Bay Inukshuk, Hollow Tree, Hotel Europe, Lions Gate Bridge Lions, LightShed, Granville Bridge, 217.5 Arc x 13′, Canoe Bridge, Vancouver Block, Bloedel Conservatory, Centennial Rocket, Canada Place, Old Courthouse/Vancouver Art Gallery, Dominion Building, Science World, Gastown Steam Clock, SFU Burnaby, Commodore Lanes, Siwash Rock, Kitsilano Pool, White Rock Pier, Main Post Office, Planetarium Building, Lord Stanley Statue, Vancouver Library Central Branch, Victory Square, Digital Orca, Girl in Wetsuit, The Sun Tower, The Hotel Vancouver, The Gassy Jack Statue, The Marine Building, and The Angel of Victory. Should you have a suggestion for the Vancouver Icons series please feel free to leave a note in the comments. It should be a thing, statue, or place that is very visible and recognizable to the public. Oh the Inukshuk at English Bay next? 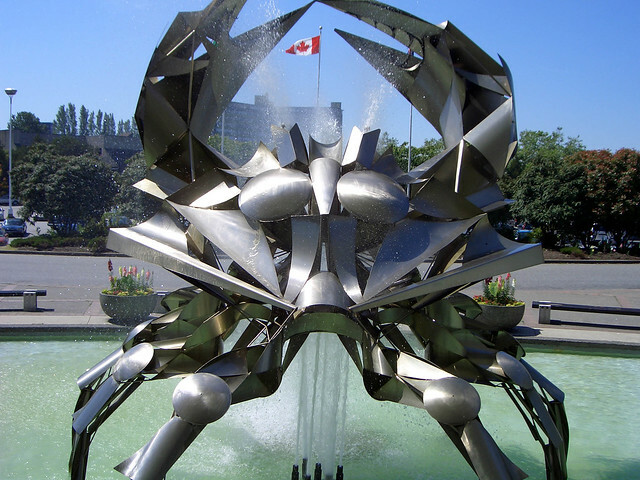 When I was younger and going to that area of Vancouver that thing always freaked me out. 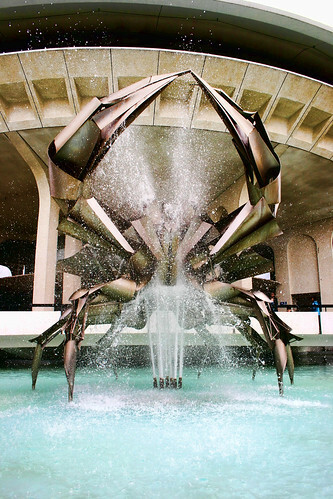 It reminded me of those crab-like things in The Dark Crystal. I always loved that crab as a kid! Did you know there is a time capsule buried right at the front of it? 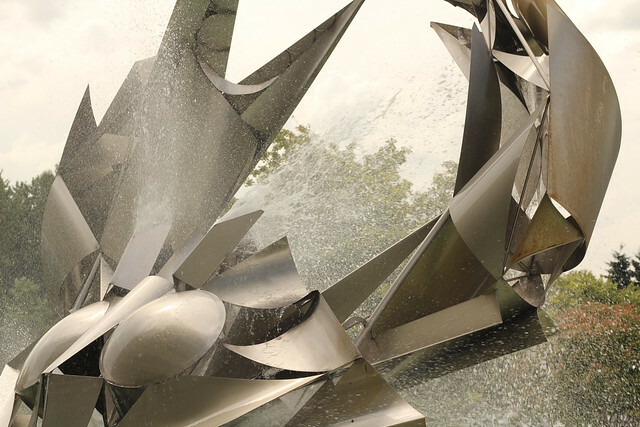 This is one of my favourite pieces of public art in Vancouver.